Woods likes McIlroy and might just be taking advantage of the situation to put a little extra heat on the rookie before the Ryder Cup starts on Friday. If he feels slighted by McIlroy’s comments or needs them to motivate himself, he’s obviously more damaged tham we thought. But Harrington warned McIlroy that he is wrong in thinking that there has never been a better time to take on Woods in the Ryder Cup. In fact, Harrington thinks there has never been a worse time to face the fallen idol. “I think in previous years, every single one of The European team would have loved to step up against Tiger Woods, because as everybody always feels, he’s expected to win,” Harrington said. “So in many ways, it will be a tougher match this time around. 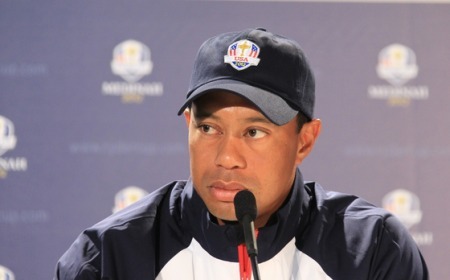 US skipper Pavin reckons Woods will be even more fired up this week and determined to make yet another player regret his comments. Pavin said: “I think other people have said things like that to Tiger in the past and have maybe regretted it. “I think anything that gets players fired up is always a positive thing for that player who is getting fired up. “I know that Tiger is aware of the comment. If they do play against each other, I think it would be quite entertaining. McIlroy is just 21 and while he sees nothing wrong with saying what he thinks, he has habit of placing his foot firmly in his mouth. There’s no doubt world No 9 could learn a thing or two about diplomacy from his pal Graeme McDowell. Asked about golf becoming an Olympic sport in 2014, McIlroy upset some of his former Irish amateur team mates with his comments last year. 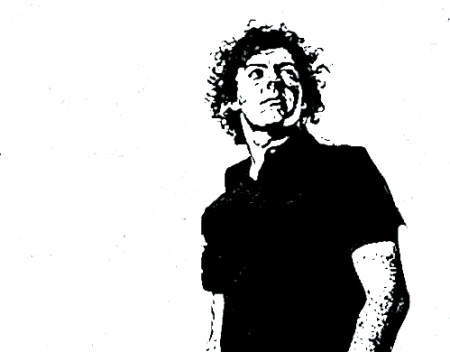 It’s sad that McIlroy has been painted as the bad guy for speaking his mind. But he must also realise that it comes with the territory. He’s already becoming more and more aloof in his dealings with the press and if the current trend continues, it won’t be long before he’s just like Tiger - a monosyllabic sports figure who has zero interest in engaging with the media.